Are you experiencing neck pain and lower back pain? These symptoms could indicatestructural problems of the spine caused by poor posture. Individuals who spend a great deal of time gazing downward at a phone or a computer monitor can develop neck pain over time, along with back pain and headaches. If left untreated, this may eventually lead to arthritis and bone spur development. For a definitive diagnosis, visit an orthopedic doctor in Miami. What Are Some of the Most Common Reasons for Revision Spine Surgery? If you’ve undergone back surgery to relieve symptoms such as pain, numbness, and reduced mobility, you may be surprised to learn that it is possible to need an additional spine surgery. When a spine surgeon near Miami must perform a second surgery on a patient, it is known as a revision surgery. Subsequent revision surgeries may rarely be needed. Occasionally, spine specialists must correct something that went wrong during the initial surgery. 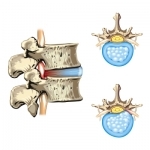 More often, the need for revision spine surgery is due to the following issues. Lower back pain is one of the most common complaints of adults in the United States and a leading cause of missed days at work. One of the biggest reasons back pain is so prevalent is posture. Slumping when you stand, hunching over your computer, or slouching with your smartphone can all put extra pressure on your spine and cause injuries that trigger back pain.